Maybe you don’t have all the options to win an award from bestrestroom.com, but you still want to make a positive impression on your guests. 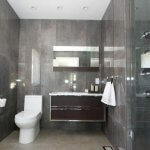 And maybe you are wondering exactly what it is that Green Flush can do to help you with your interior options. 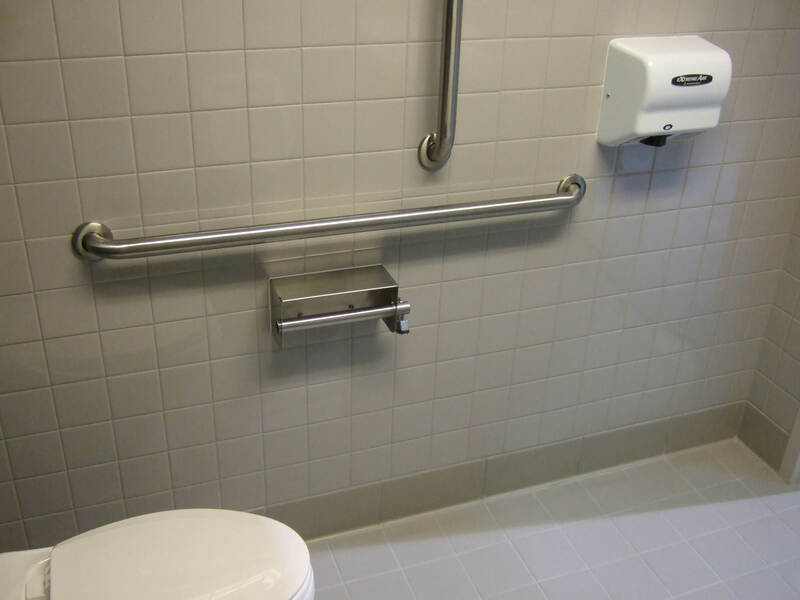 Here are some of the tools Green Flush offers for customizing the interior of your restroom. The appearance of your walls will affect the overall look of your restroom more than any other factor and often set the tone for whatever theme you choose for your restroom. 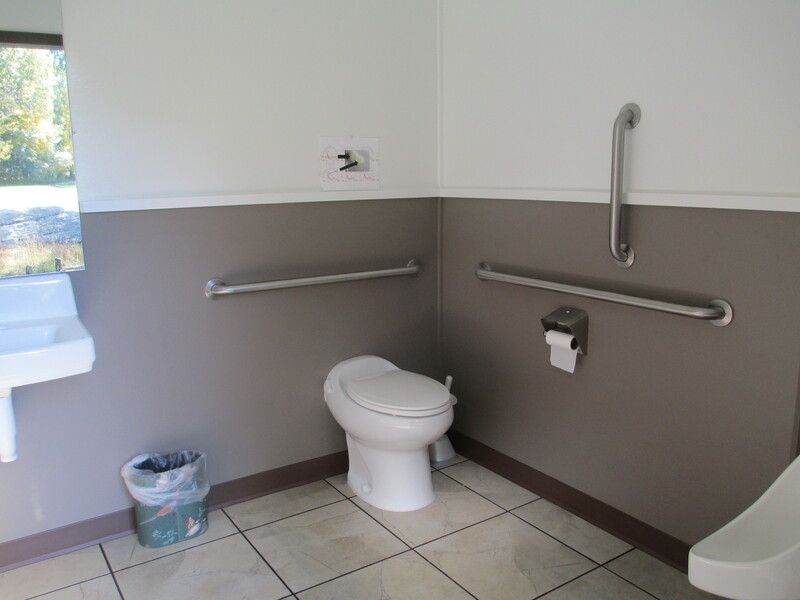 Our default option for wall coverings is Fiberglass Reinforced Plastic (FRP). 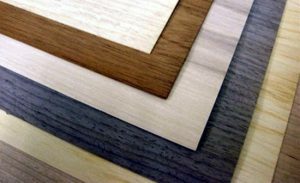 FRP is very common in modular buildings as it has a good combination of lightweight durability and environmental resistance. 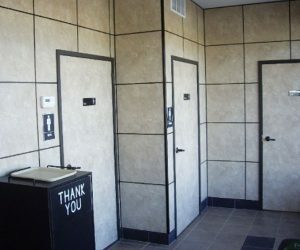 We also offer custom FRP by Marlite. 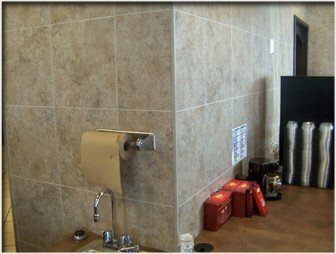 Marlite is known for their quality and can make walls look pretty much any way you want while being durable. They can look like tile, wood, brick, or use custom designs. 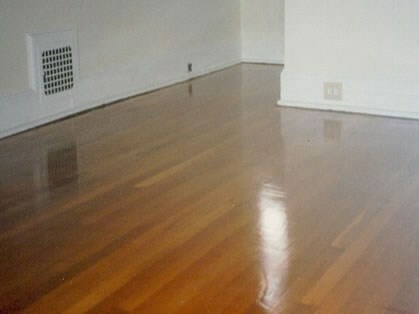 Another option is Plastic Laminate Wainscot. Plastic Laminate offers a greater variety of color and texture options and like FRP it is an easy material to clean. 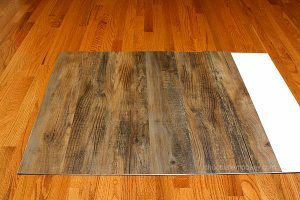 We also offer custom Plastic Laminate by Wilson Art. 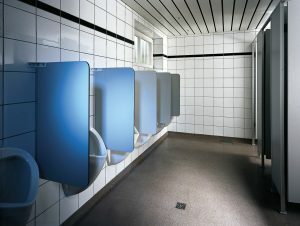 Tile is a very popular choice for restrooms, as tile patterns are attractive and unique. 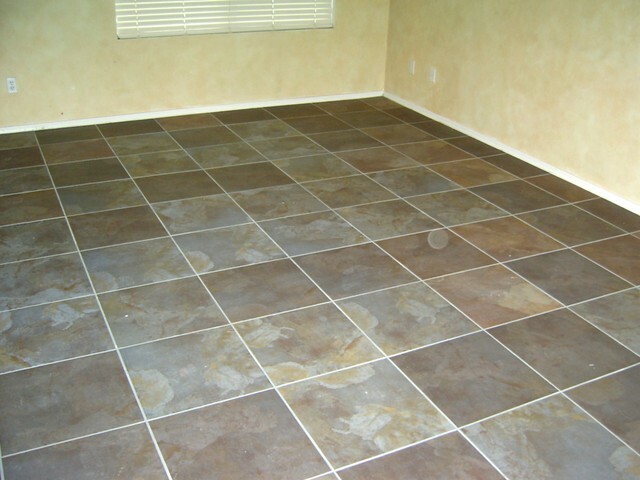 Tile is also known for durability, environmental resistance, and being easy to clean. 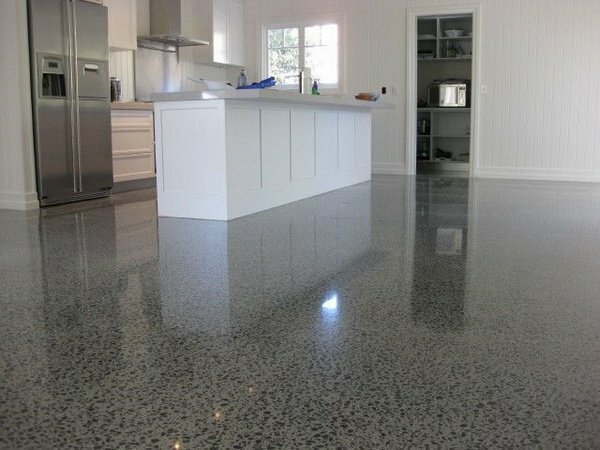 Concrete floors have their pluses, but offer extremely little value for decor. Stained concrete offers a variety of color and design options. 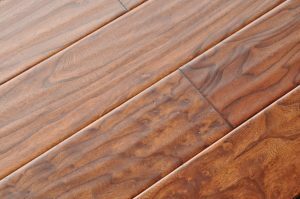 It can also prove useful if you have an overall theme for the restroom and want the floor to match or compliment the surrounding motif. Stained concrete can be made to appear shiny, which is a nice touch if your restroom features quality lighting. 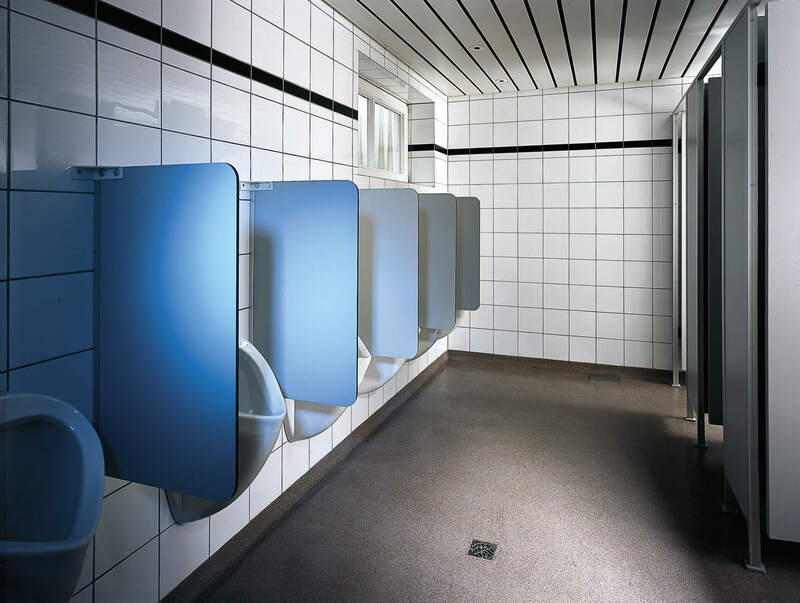 Tile flooring is known for high durability, low porosity, and attractiveness – a very common flooring style for public and semi-public restrooms everywhere. 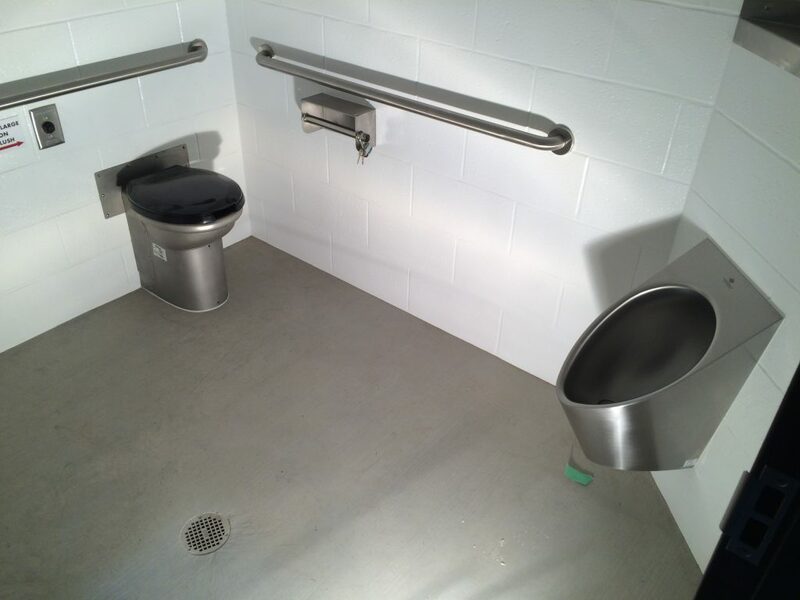 Step into an airport or stadium restroom, and you will probably see a tile floor. 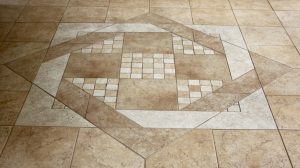 Tile has a great overall combination of traits for areas with heavy traffic that also seek to look professional and attractive. Tile floors are a terrific option. 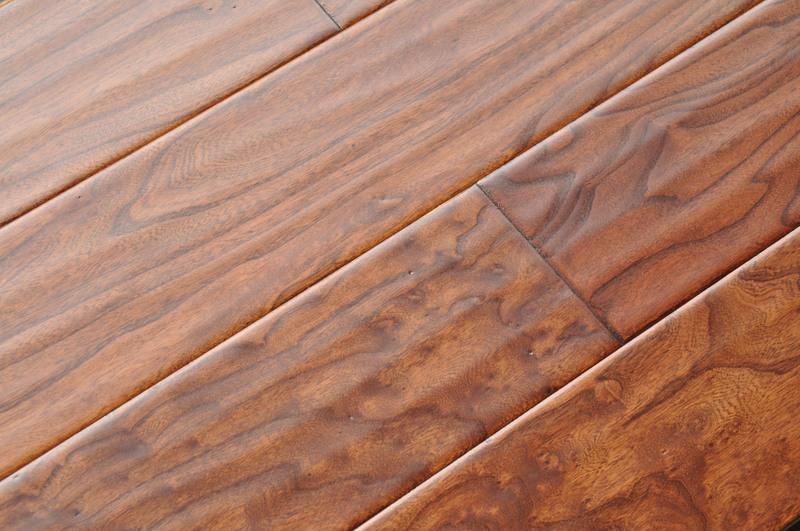 Though based off tiles, this style of floor has an uncanny resemblance to real wood floors. Natural light is a free source of lighting during daytime hours and generally thought to be more attractive than artificial lighting. 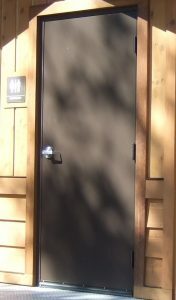 Windows are obscured to let light in while protecting privacy. 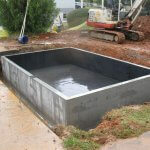 A skylight is overhead and can be relatively large. If the sun is very bright in your area, you may find windows to be preferable to avoid glare. 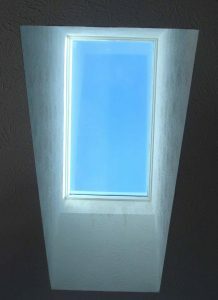 Generally speaking though, a skylight will provide more lighting than a window would. For even more natural light, consider going with both a window and a skylight. 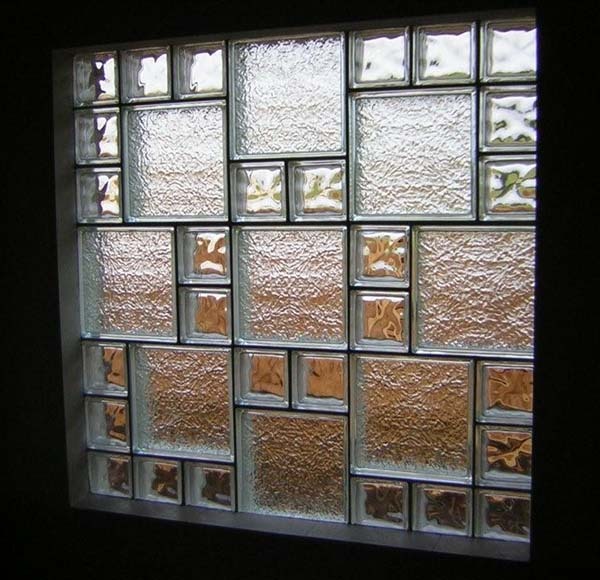 Glass block has enough compressive strength to accept wall bearing loads, effectively replacing wall segments, though for a higher price than a standard window. 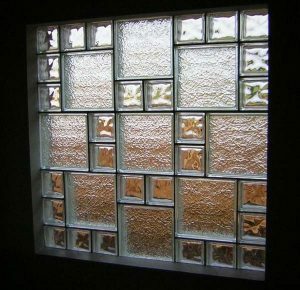 Glass Block is designed to be hard to see through while still allowing a substantial amount of light. It is a useful tool in the event that you want a windowless room that retains natural light. 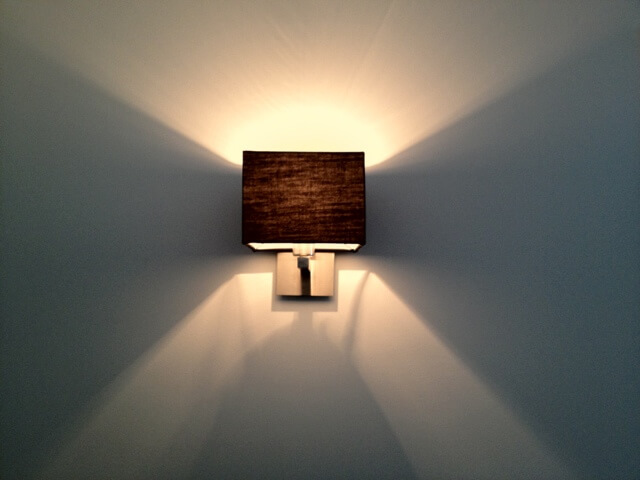 To state the obvious, interior Lighting is a must for restrooms that operate after dark. To state the slightly less obvious, interior Lighting can have a dramatic impact on the attractiveness of your restroom interior. 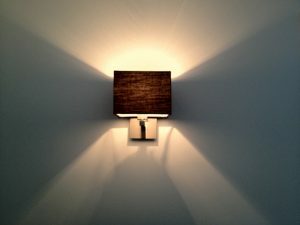 Properly reflecting light off the walls can create a welcoming, warm coloration to the room and help make your restroom interior feel more like home. 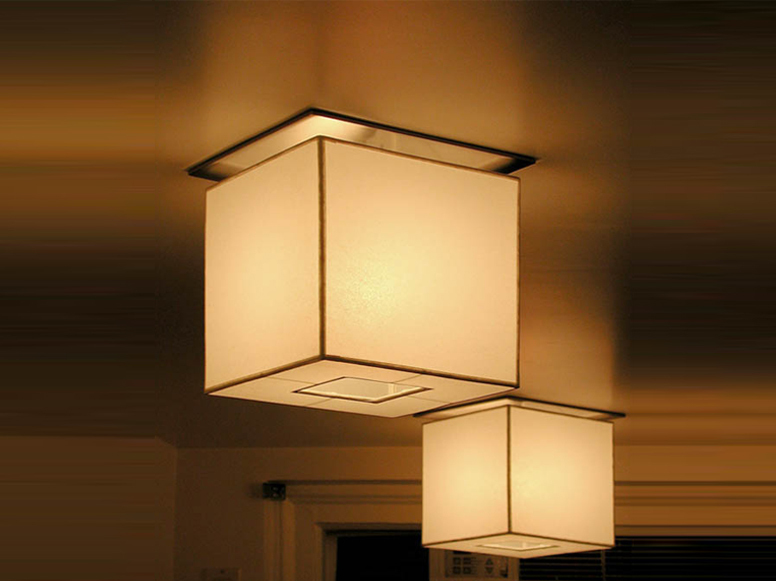 Custom light fixtures can help give the room a unique and classy feeling. 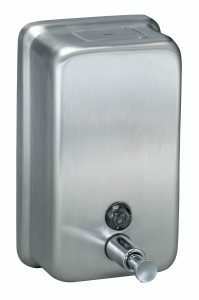 A soap dispenser helps create a corporate and professional feeling to the restroom, as contrasted by having liquid/bar soap sitting on the edge of the sink. 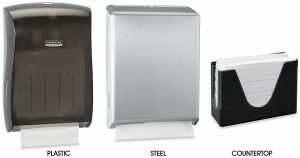 Hand driers make the need for a wastebasket semi-optional, and as they are so common in major industrial scale restrooms, they can help add a “corporate” feel to the restroom interior. They require far less maintenance than the paper towel option and also provide and hands free option (although some people like to use paper towels to avoid touching the door handle when exiting the restroom). A paper towel basket can add a nice down home touch to a restroom. 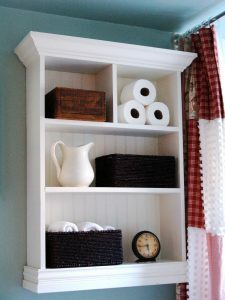 A fancy paper towel holder can add an element of class. A wall dispenser may not do either of those things, but it would still provide users with the convenience of paper towels – which are the preferred choice of the public. 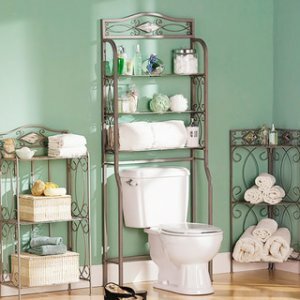 Shelves are not a necessity, but can be effective at creating a home-like décor. 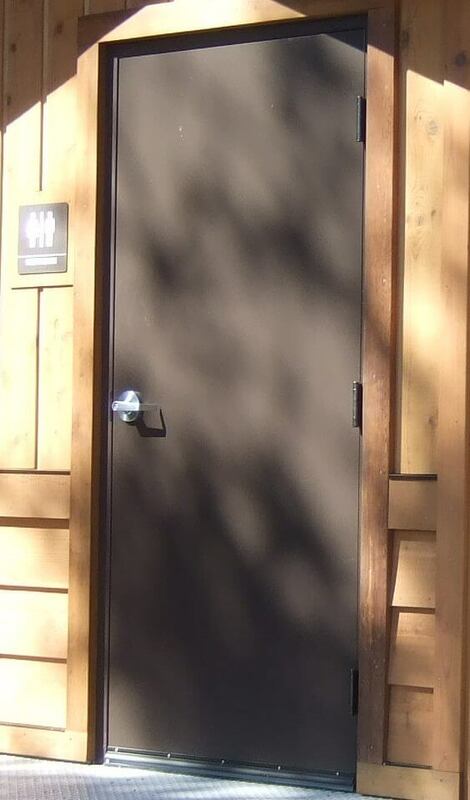 Steel doors are the baseline option. They have their pluses, but like concrete floors, tend to be a decorative obstacle to overcome. 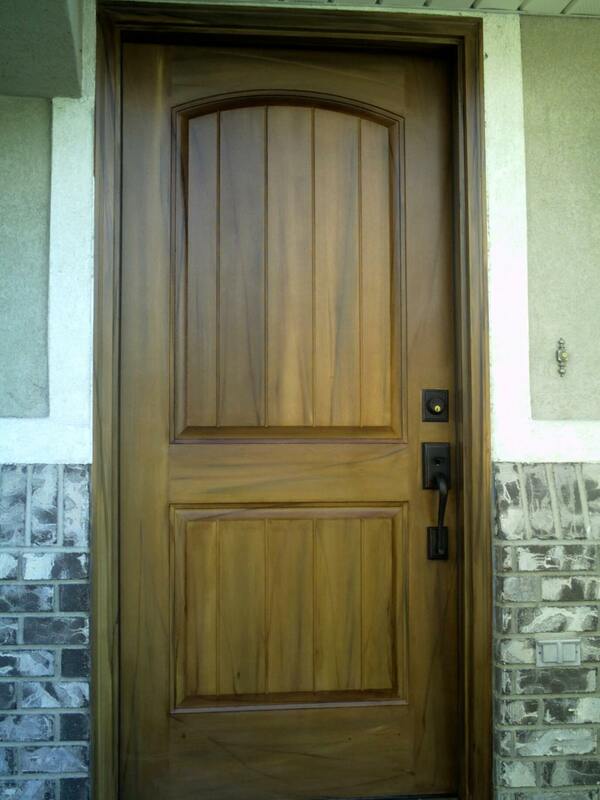 Fiberglass doors are an alternative that may interest you depending on your needs. 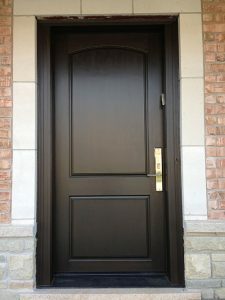 Fiberglass doors are resistant to natural deterioration, and can be custom made to look almost any way you want them to. So for example, if you have a restroom motif that would suit a wooden style door, you could order a fiberglass door and have it designed to look just like a wooden one. 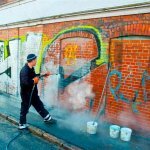 However they do cost significantly more and will increase lead time several weeks. 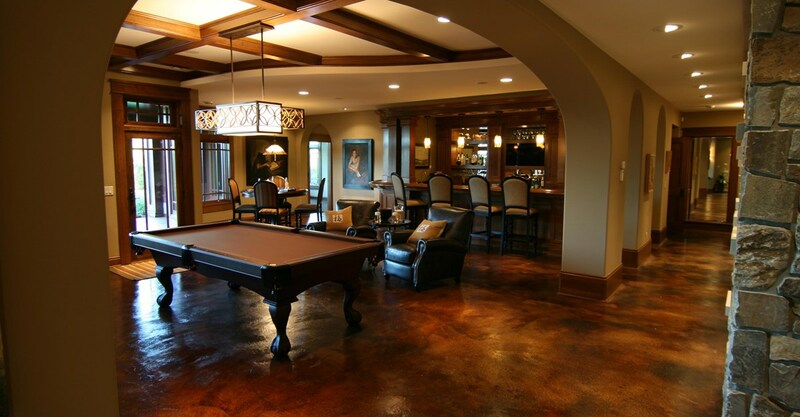 Nothing will influence a rooms décor more than color. 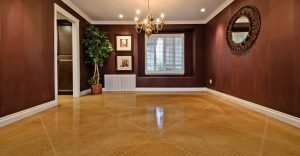 Color establishes the feel of the room and can create subtle effects on how a room is perceived, whether it is by creating a mood or even altering perceptions of the room’s size. 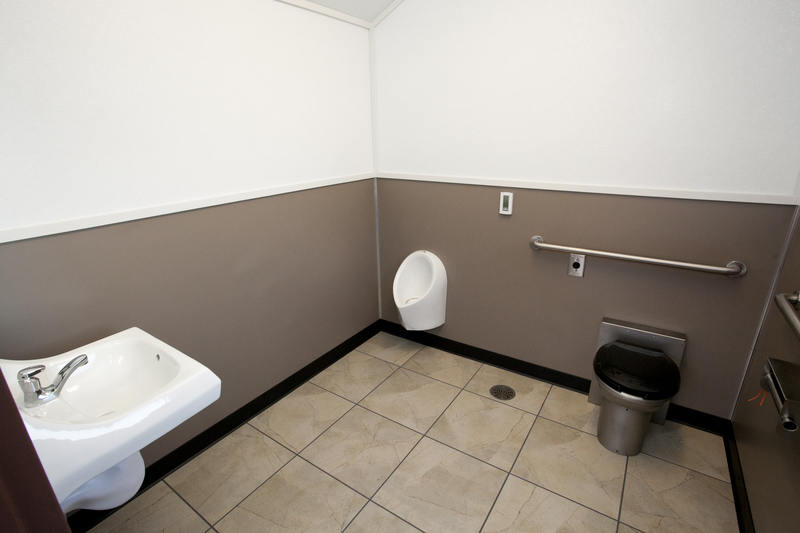 Most public restrooms tend to use non-colors, or “neutral colors” such as white, grey, and black. 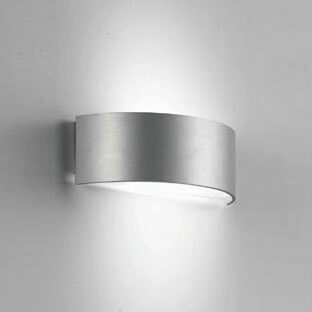 White is the most common color by far, boring and sterile, but simple and excellent for maximizing light sources. 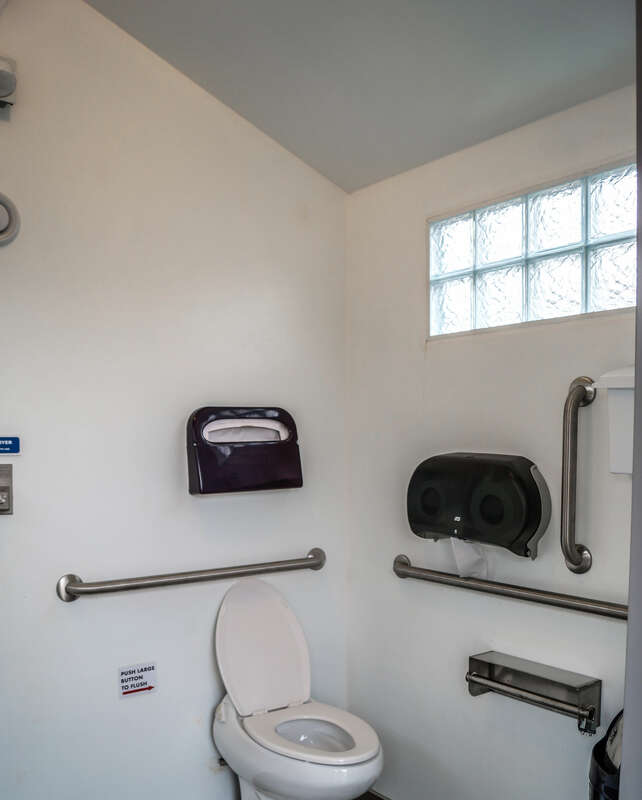 If a color other than white is used, adding artificial or an additional window/skylight can help keep the restroom properly lit. 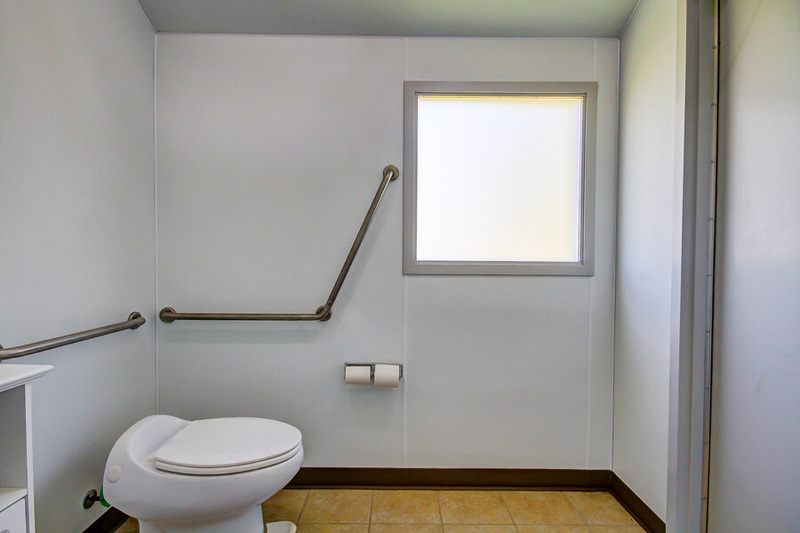 To make your restroom feel homey, you probably should consider a real color. 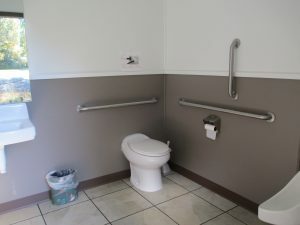 Simply going with a neutral color such as white will make a restroom feel more industrial and will be a hindrance if you want the restroom to stand out and leave a lasting impression. 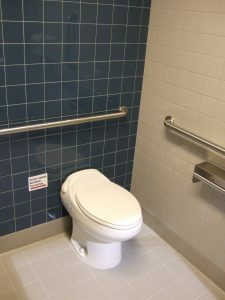 That said, before choosing a color be sure to first consider the fixed colors for objects that will already be present in the restroom (that you either can’t or wouldn’t desire to change). Things such as tile, flooring, toilets and sinks will be fixed assets in your bathrooms color scheme, so be sure to choose wall colors that fit those colors rather than clash. 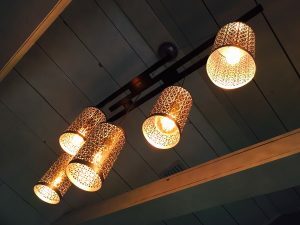 You’ll have to use a little imagination and the eyeball test to determine which color combination goes best with your fixture colors. Ideal Standard’s website offers a simulator that can help you visualize a decent number of traits and combinations, just as a random suggestion. For women, color can be a big deal. 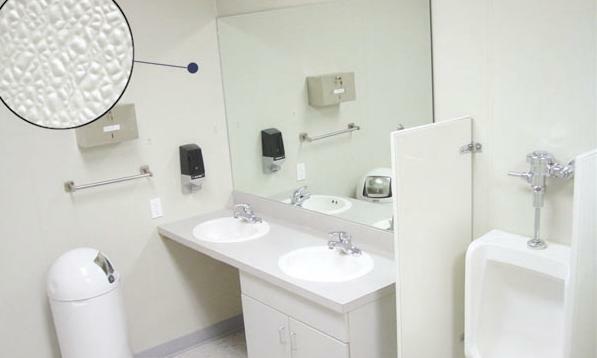 In Linda Wright’s book Skip to the Loo, she details how women react differently to colors and goes into specifics about the kinds of emotional impacts each color can provide. It’s definitely worth a read especially if you are looking to impress female visitors.